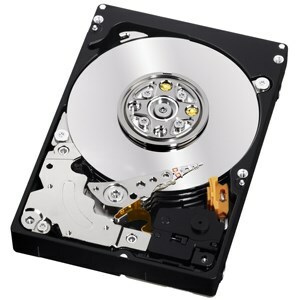 WD®, a Western Digital (NASDAQ: WDC) company and a world leader in storage, today announced a new 3.5-inch SAS hard drive solution for legacy datacenter storage systems with the release of the WD XE™, 2.5-inch, 10,000 RPM SAS hard drive, now available mounted in a 3.5-inch WD performance adapter. Shipping immediately, the WD XE hard drives provide best-in-class performance, low power consumption, and an easier upgrade path for existing 3.5-inch storage systems. While demand for 3.5-inch, high-performance enterprise-class hard drives slows, a need remains for an alternate high-performance storage device as a transitional solution for legacy systems. WD XE hard drives offer best-in-class sequential performance and provide a compelling upgrade for datacenters migrating away from legacy drives nearing end-of-life. "Delivering up to 50 percent higher capacity, similar or better maximum sequential performance, higher reliability and up to 67 percent lower power consumption versus 3.5-inch, 15,000 RPM drives, the new WD XE drives are the answer for data center server and storage solutions needing a transition strategy," said Rich Rutledge, senior vice president of WD's datacenters business unit. "IT managers now have a worry-free migration path to the latest enterprise performance drives from WD, while preserving their chassis and solution investments." Industry's highest reliability rating – 2 million hours MTBF. The WD XE SAS enterprise hard drives in 3.5-inch performance adapters, shipping in capacities ranging from 300 GB to 900 GB, (models: WD3001HKHG, WD6001HKHG, and WD9001HKHG); are available through select distributors and resellers. Manufacturer's Suggested Retail Price (MSRP) for the WD XE hard drives in performance adapters range from $229.99 to $599.99 USD. WD XE drives are covered by a five-year limited warranty.